A few weeks ago, a friend Brooke, emailed me about doing a party for her daughter's 1st birthday. Little Reagan will be one just about the time that I am expected to have my baby, so unfortunately, I couldn't physically help her with her party. Bummer. But, I told Brooke that I would be thrilled to help her with some ideas for the party! I love this color combination because it is SO sweet for a precious little baby girl's 1st birthday. It always conjures up pink lemonade in my head, so I went with that for inspiration. And, I happened to find some pink lemonade cupcakes! And also found out that two local bakeries offer pink lemonade cupcakes! 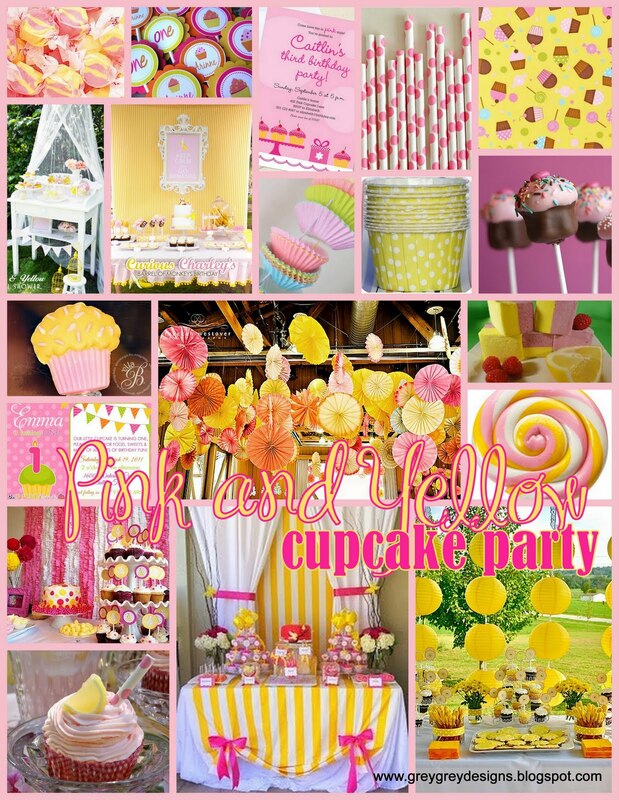 If you'd like to see more inspiration for my Pink and Yellow Cupcake Party, you can visit my Pinterest Board here. Thanks so much Brooke! I really loved doing this for you! Brooke has already started on the party decor and she's sent me some adorable pictures of the cupcake liner garland that she's working on! Can't wait to see how it turns out!